For the first time in a long time, the Blue Jays’ bats were booming and the offense was in full swing as Toronto used three home runs and steady contributions up and down the order to collect a 9-3 victory Saturday against Oakland. After falling behind 1-0 in the Top of the 1st thanks to a Mark Canha home run, the home side responded with two of their own in the bottom half of the inning and another three more in the second to open up a 5-1 lead. Eight of Toronto’s nine runs were driven home by the trio of Josh Donaldson, Jose Bautista and Troy Tulowitzki, who posted a three-hit game that included a pair of solo shots to center. Manager John Gibbons made some lineup changes in the wake of Chris Colabello’s suspension and other key players struggling. Michael Saunders sat for the second straight day and Ezequiel Carrera filled in admirably, collecting four hits and three runs scored at the top of the order, while centerfielder Kevin Pillar dropped to the ninth spot in the lineup and responded with a pair of hits in and a pair of runs in four trips to the dish. Following the first inning home run, Toronto starter J.A. Happ settled down and delivered another quality outing in halting the Jays’ losing streak and picking up his third win. The lefty went 7.0 innings, scattering three runs on seven hits and one walk while throwing an economical 92 pitches. From there, Gavin Floyd continued his solid start to the season by tossing two flawless innings of relief to wrap things up. This was the Jays that everyone is used to and has been expecting all season and it was nice to see them make an appearance. Donaldson belted his seventh home run of the season in the second, Bautista added two RBI and Tulowitzki showed signs of life with his tandem blasts that travelled a combined 842 feet to center. Though guys like Russell Martin and Ryan Goins continue to struggle, the rest of the sticks seem to be coming around and given how good Toronto’s starters have been this season (for the most part) that can only be viewed as a positive. Saturday’s game is finally a chance to really praise the standout shortstop for a strong outing. 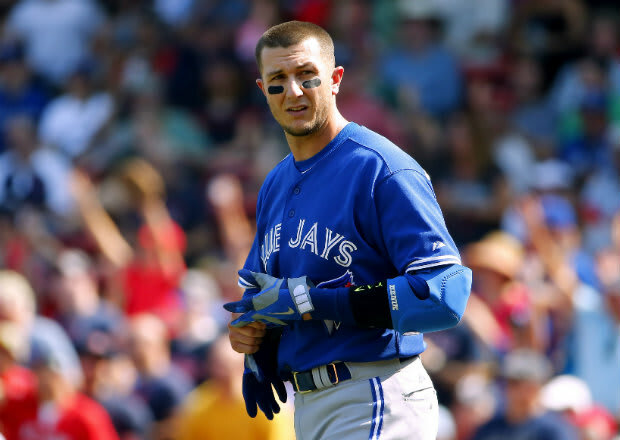 Though he’s still hitting just .188, Tulowitzki delivered a 3-for-4, two home runs, two RBI, two run scored performance to help carry the Jays to victory and level the series with Oakland at 1-1. While his defense has been outstanding as always and his few hits have been of the timely variety, seeing Tulowitzki find a rhythm at the dish in the middle game of this series was a plus, as he’s been fighting it at the plate and it was clearly weighing on him. Those pressures should be lessen for the time being as a performance like this and they’ll be forgotten entirely if this proves to be the start of something consistent. On Deck: Lefty Eric Surkamp gets the call for the Athletics while last season’s Opening Day starter Drew Hutchison was recalled from Triple-A Buffalo to make a spot start on Sunday for the Blue Jays.